This Walnut Widescreen Television Cabinet offers style and plenty of practical storage for your living room. 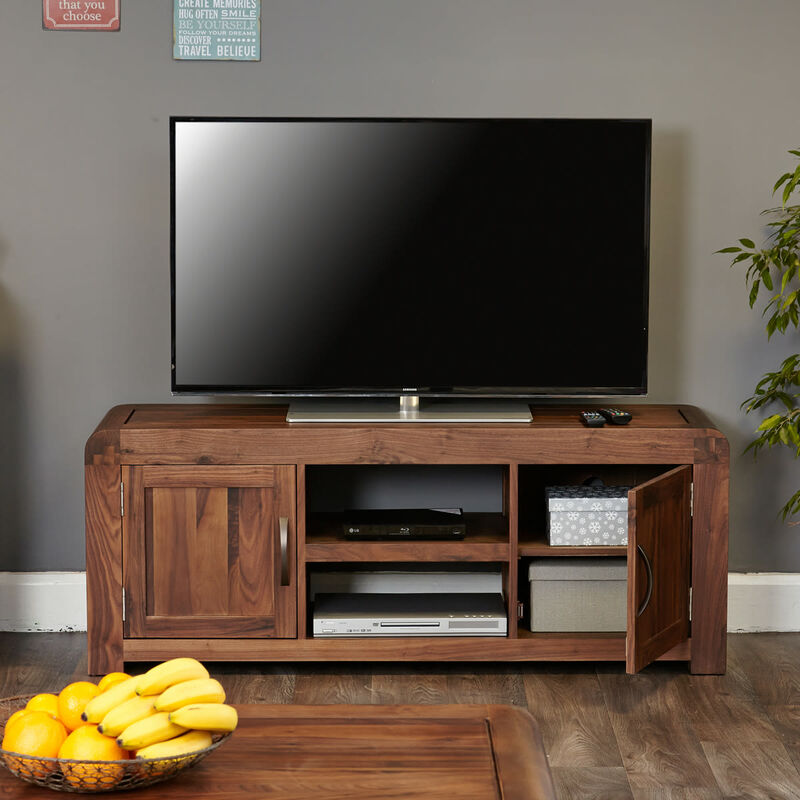 Constructed from environmentally friendly solid walnut, this widescreen television cabinet is perfect for any Plasma or Widescreen television up to 72" in size. 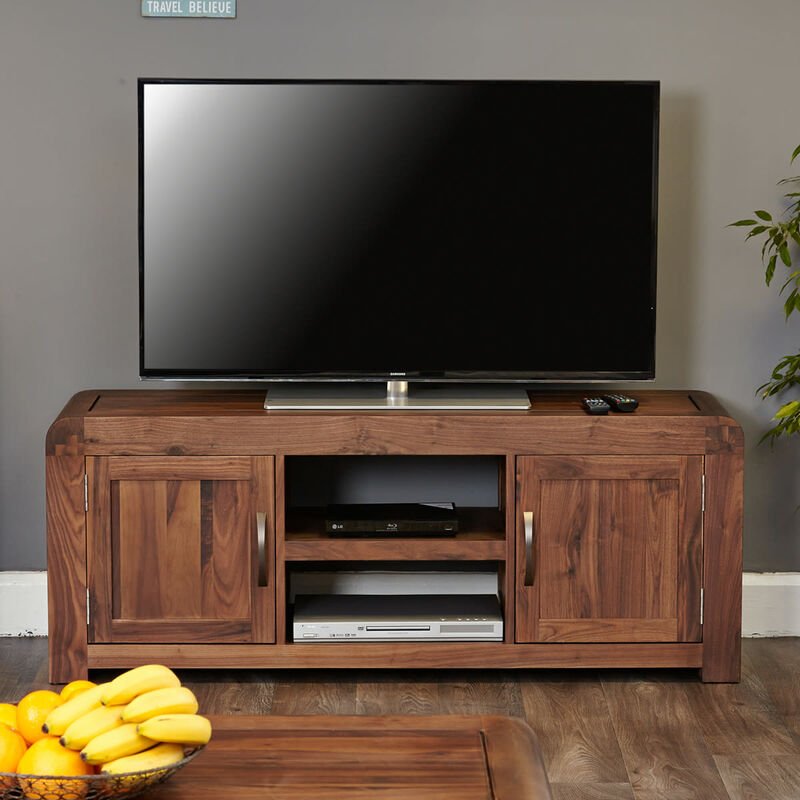 To provide ample storage the two open and spacious shelves are designed to carry the large variety of ancillary units which are now standard in most homes. 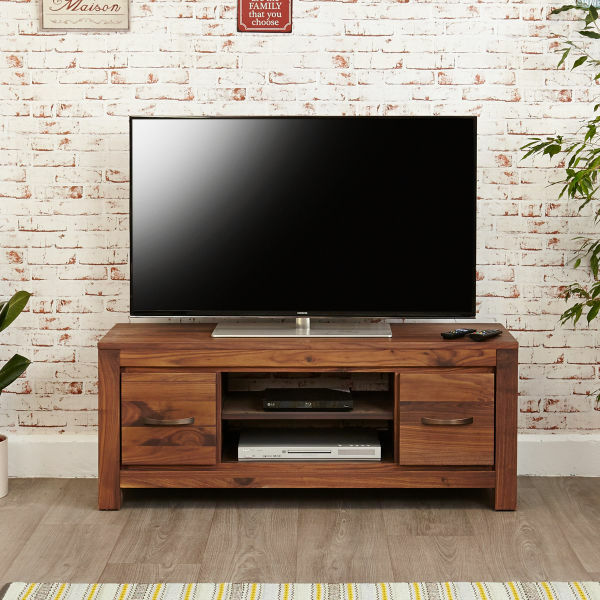 The two storage cupboards have a height adjustable and removable shelf in the centre to make the most of your hidden storage space, and overall this tv unit is sturdy and solidly built, with a fixed shelf to give extra structural rigidity. 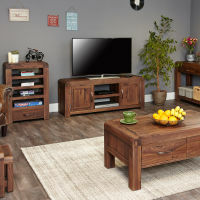 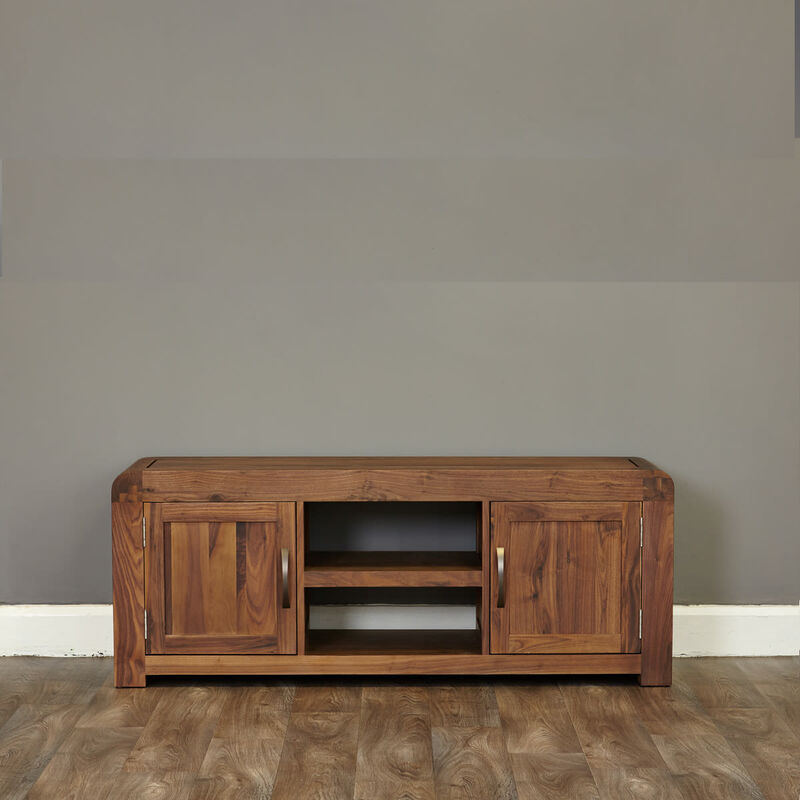 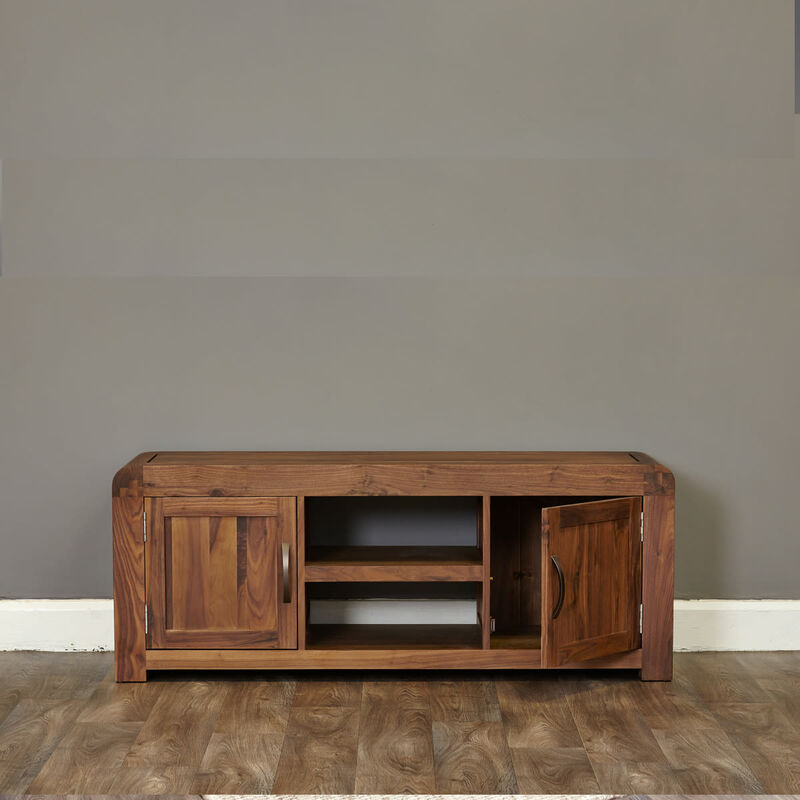 This tv unit has exceptional build quality throughout, and the robust contruction will provide a lifetime of use - walnut is a very high quality timber with a dense grain making it perfect choice for building quality furniture. 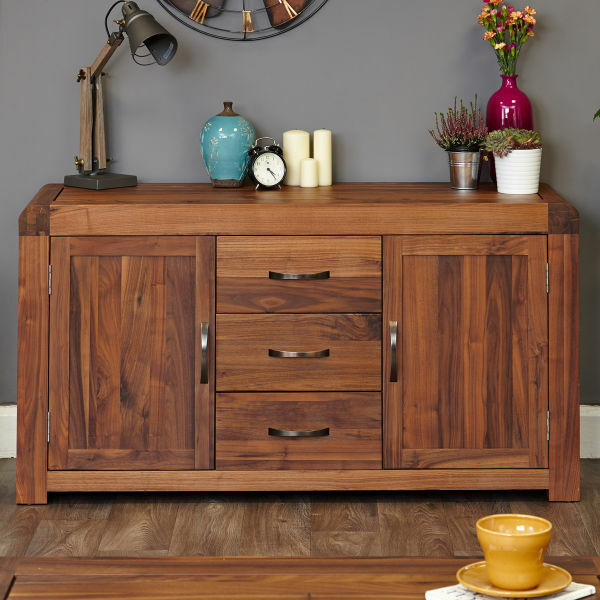 Every item of our walnut furniture is constructed from sustainable sources from managed plantations. 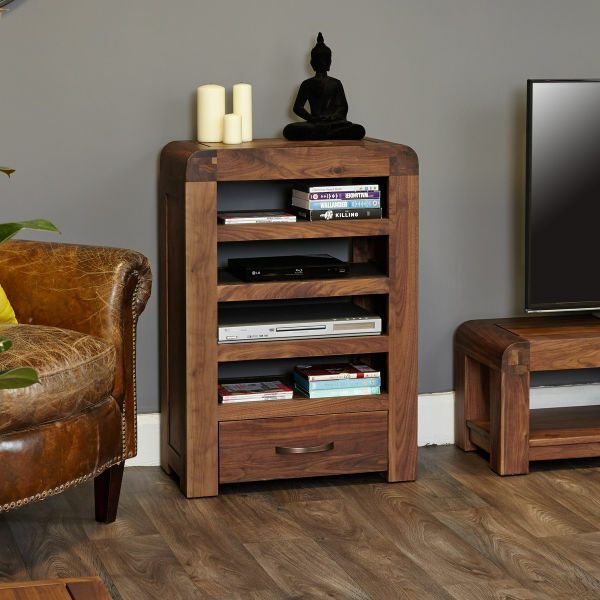 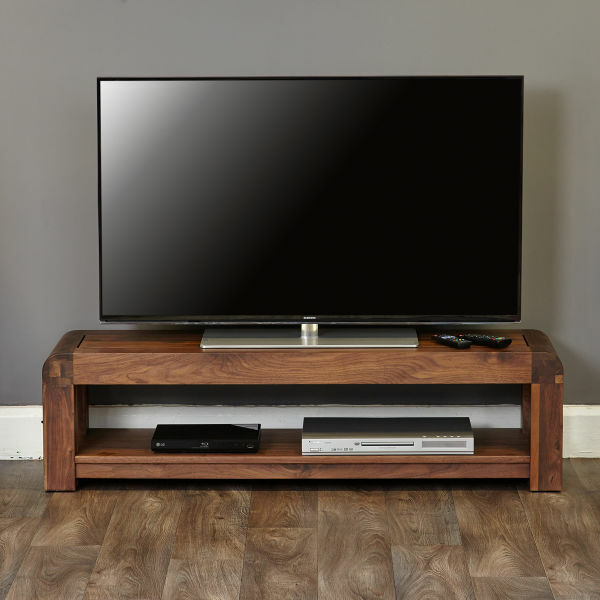 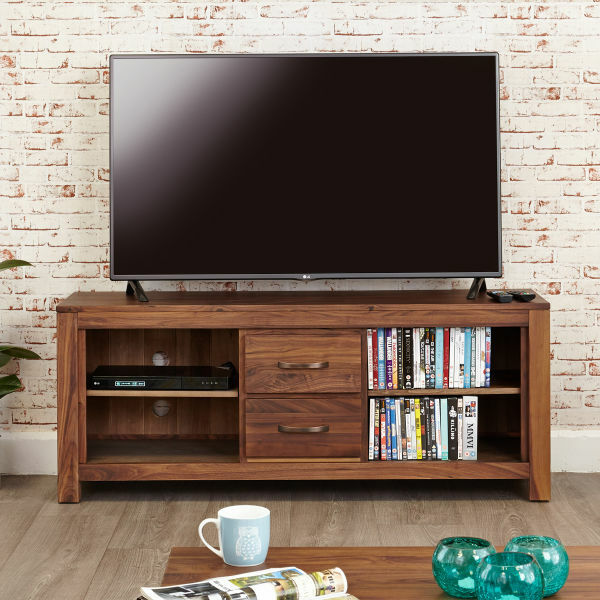 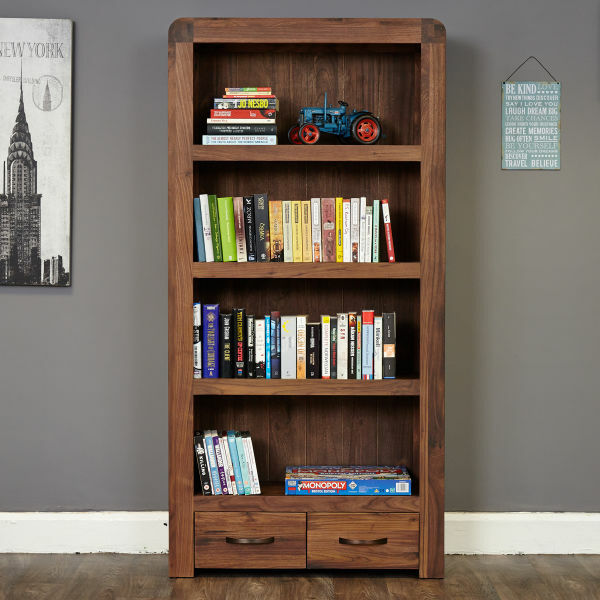 If you are looking for extra storage, our Walnut Home Entertainment Unit matches perfectly. 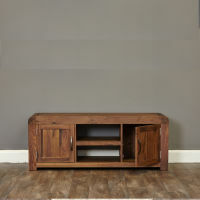 Two storage cupboards measure H40 x W37 x D38 cm.